What’s the Project? This cute Halloween apron pattern is made to look like a cute little witch. 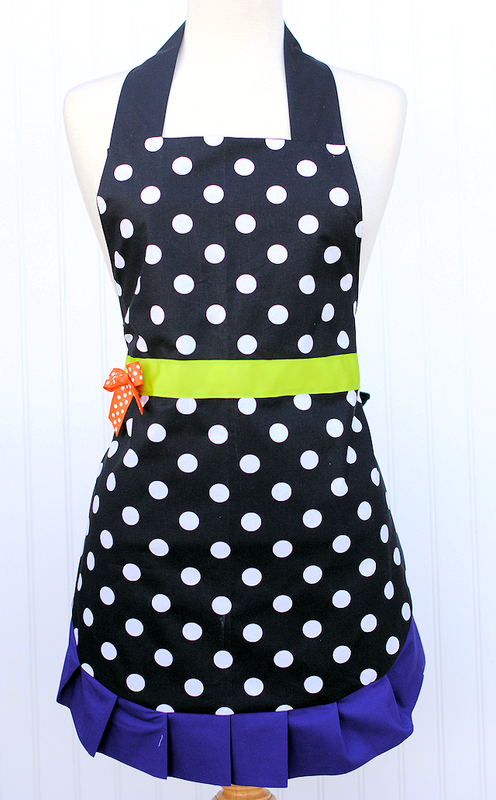 With black polka dots and accents of purple, green and orange, it’s perfect to wear in the kitchen for Halloween! October is almost here! I think October is probably my very favorite month of the year-for so many reasons. I love Halloween crafting and I love Halloween decorating and I love Fall baking and I love candy corn and the list could go on. Who else feels that way? I know I am not alone in this. It’s just a fabulous season. Do you know what would make YOUR October amazing this year? Baking while wearing a one of these-it’s a cute Halloween apron pattern made to look like a witch! 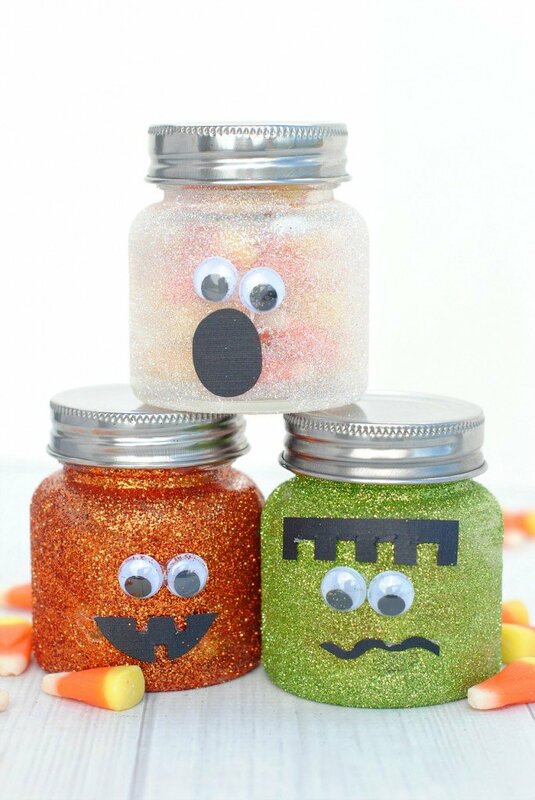 Lots of fun with Halloween colors and cute ribbon! 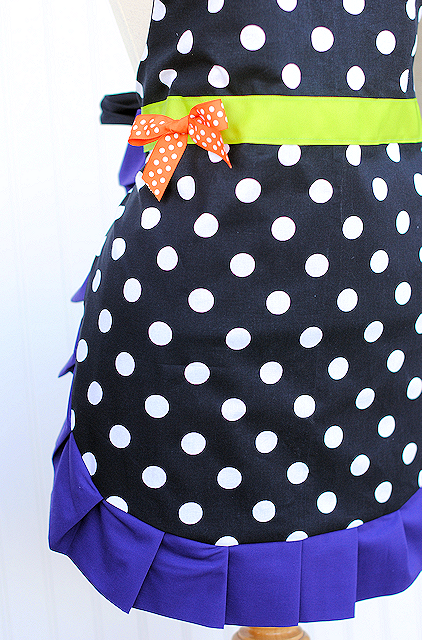 I love these fun colors and how cute this Halloween apron pattern turned out! 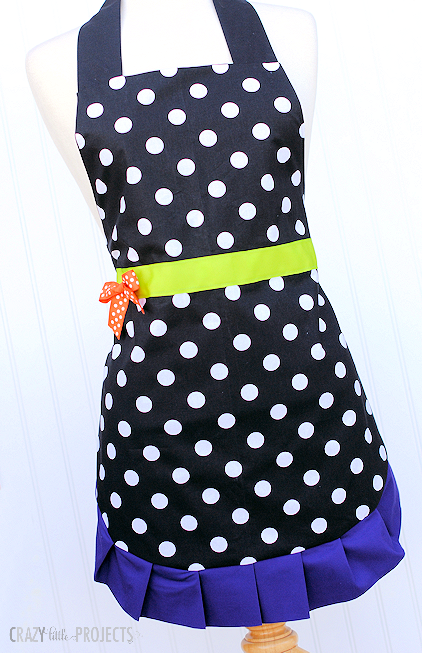 Wouldn’t you feel fabulous making fun Halloween treats while wearing this cute apron?! It just makes if feel even more fun, even though Halloween treats are super fun already! And it’s not super hard to make. It looks impressive, but it’s not a difficult pattern. And the good news is that aprons are very forgiving size-wise and things. So let’s make this cute Halloween apron pattern, ok?! To make this Halloween apron you are going to follow this pattern. You just need to do a couple of things. First, after you cut out your front, pin the thick ribbon in place then sew it on before you sew the apron. Sew a straight line across the top of the ribbon and then another across the bottom. Then proceed to the traditional apron pattern and sew it just like that and then come back here and add the bow. When you are done with the rest of the apron, hand stitch the little bow on the side. If you wanted you could add a belt buckle from ribbon as well like I did in this project. And that’s it! You’ll have a great apron for Halloween! 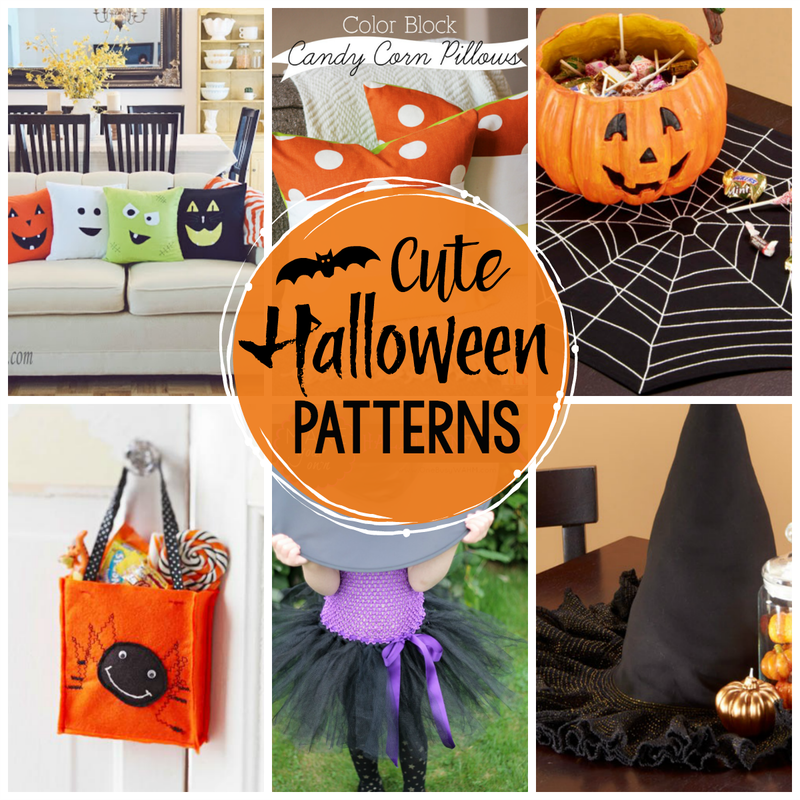 I hope you love this Halloween apron pattern! could you please tell me if I buy your e book will it give me all the patterns to make all the towels? Dose that also mean cookie monster? Thanks so mush. Nope-those are all just on the blog for free!!! Amazing how a change of fabric can make it look like a whole new project. Love purple and lime green together. This is super cute!! I love it!!! 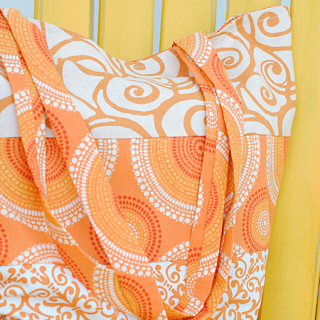 Hi Amber, I love your crazy little proves blog and have made a messages bag, now I see you have some real pretty aprons which pretty straight forward, except I’m not very good at cutting out patterns freehand, so my question is do have a printable apron pattern, if so how do I access it. Sorry I don’t! Just the tutorial. I understand you provide only a tutorial, not a pattern. Is it possible to see a pic of the back side of the navy polka dot witch apron pattern?